At the World Steak Challenge in London 240 steaks had competed to be seen as the world’s best beef steak. 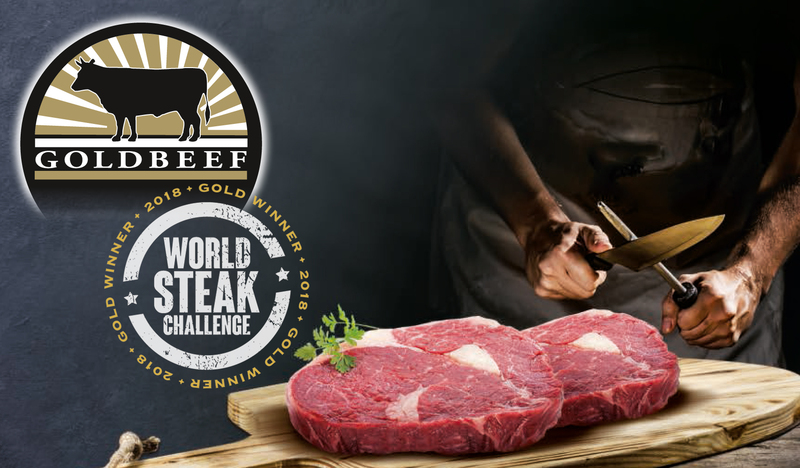 The GOLDBEEF Entrecote by Vion has been awarded the gold medal: Matured on the bone in specially tempered rooms for at least 30 days, marbled lightly and evenly, and 100 % Simmental. This is the award-winning quality for which Vion is known at the international beef market. Competitors from 22 nations competed in this year’s showcase of beef marketers in London, submitting products from 35 different breeds for evaluation. Besides the Entrecote, Vion also tested its GOLDBEEF in Dry Aged 100% Simmental quality meat in the categories Fillet and Sirloin – which were both awarded bronze. All award-winning steaks came from the Vion plant Waldkraiburg, which is located in the homeland of the Bavarian cattle breed Simmentaler.